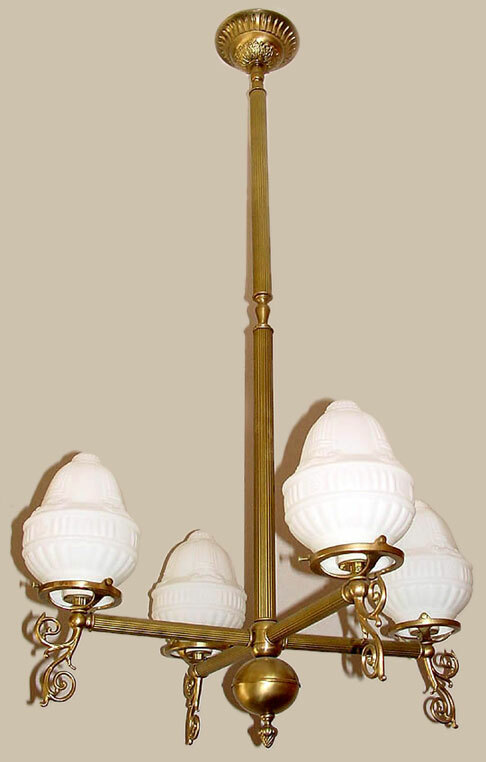 Shown in Satin Brass, this lovely vintage country style gas reproduction chandelier can be placed in many settings. Tune it up to your personal tastes and spatial requirements to make it just right! Custom arm diameter and height are no problem! Also features reeded tubing and beautiful curled arm backs. Perfect for that rustic vintage space. Diameter 26 In. / Height 32 In. or Custom Height.